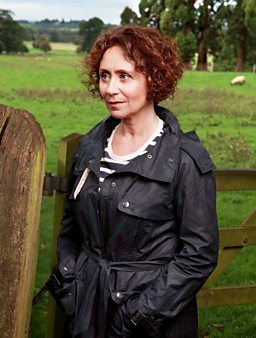 BBC Radio 4 - The Archers - Elizabeth Pargetter: "I think I may have depression"
Elizabeth Pargetter: "I think I may have depression"
Under the weather and out of sorts, Elizabeth has been dismissing how she feels and explaining away any particularly bad moments. But since Lily's return to Manchester, in her isolation at Lower Loxley, Elizabeth's well-being has plummeted. Her siblings - Kenton, Shula and David - have grown worried for her but it was in the presence of her sister-in-law Jolene that Elizabeth reached a significant moment with her mental health. Lucy Tallon from the Mind Media Advisory Service shares her thoughts on Elizabeth's revelation to Jolene and how she has reached this point. When Elizabeth told Jolene she thought she might have depression, I wanted to give her a round of applause — and a hug. It's taken a long time to get to this point, and Elizabeth showed great courage. Experiencing mental health problems for the first time can be frightening and confusing. People often try to hide it from everyone, and themselves, as they struggle to cope with day-to-day life. They may put their symptoms down to other things, like stressful events or physical health problems. But if the feelings carry on for more than a couple of weeks, and interfere with their lives, then it's probably something more. We know Elizabeth's been unable to function as usual for months, and has had a panic attack. But she'll also have been feeling really negative, hating herself for becoming what she believes to be a 'weak, useless person'. She let this slip to Kenton recently, but until then had been trying to cover things up. This is probably because she feels ashamed of her perceived inability to 'cope'. And shame is a toxic thing that can perpetuate depression or anxiety. There's still a lot of stigma out there, despite the fact that mental health problems are a common human experience. Although one in four people experience a mental health problem every year, half of them say that the associated isolation and shame is worse than the condition itself. Elizabeth has been having an absolutely terrible time; tortured by her thoughts, too anxious to eat or sleep properly, bewildered about what's happening to her, but too ashamed to tell anyone. What she hasn't realised until now is that these are symptoms of depression and anxiety. Elizabeth is ill. Mental health problems are illnesses like any other, and they can be treated. The right combination of self-care, treatment and support usually works. That's why it's so significant that Elizabeth has realised she needs help. I know how hard it is to ask for help when you're convinced you've become a 'weak' person. I've had many episodes of depression, and it still amazes me how deeply you can believe awful things about yourself when you're unwell. I too have felt paralysed, unable to face work, and then hugely guilty about not doing something — like Elizabeth with the alcohol licence. Beating yourself up about things becomes a downward spiral as negative thoughts take over and impede your actions. I hope that this proves a turning point for Elizabeth. It's time to have compassion for her. Until now, her behaviour has seemed uncharacteristically irrational, forgetful and even unfriendly, because we've mostly seen her experience from the outside. Now we're getting a glimpse of the inside, the torment she's experiencing, the irrational thoughts driving her actions. The more we can see it from Elizabeth's point of view, the easier it is to understand that she's got an illness — and the more her story can challenge stigma and address misconceptions about depression, both in Ambridge and among listeners.